Farm Insurance Denton County Texas – Great Rates Available Now! Country Side Insurance offers competitive rates on Farm Insurance in Denton County Texas! Whether you need Farm Insurance in Denton County, Hopkins County, Grayson County, Collin County, Lamar County, Delta County, Fannin County, or Hunt County, Country Side Insurance can find the best options for a great price. Tom owns a farm in Denton County. Like many farmers, he and his family live in a house on their farm. As Tom and the family are avid campers, they own a big RV. Years ago Tom built a detached garage for the purpose of storing the family RV during the off season. The detached garage is covered as an extension of Tom’s homeowners insurance. The kids have since grown up and gone off to college. 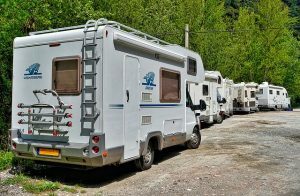 Tom and his wife do not go camping or road tripping as often as they once did, so together they decide that it no longer makes sense to own a massive RV that does not see any use. They sell the RV and clear out the garage, which opens up a lot of free space. This gives Tom the idea to store his tractor, planter, and various other farm equipment and tools that had been crowding up his farm storage building. A few months later, a farmhand discards a cigarette near some hay that’s been strewn about the ground outside Tom’s detached garage. Within the hour the whole garage has caught fire. Tom’s wife calls the fire department while Tom and a few farmhands make a vain attempt to quench the flames with hoses and buckets of water. The fire department arrives as quickly as they can but the fire has been raging for quite a while. By the time the flames can be put out, the garage is completely gone and much of the equipment stored inside has been badly damaged or destroyed. Tom dutifully files a claim with his insurance for the loss of his garage and equipment and awaits their response. What do you think? Since the detached garage was always covered by Tom’s homeowner’s insurance policy, will the homeowner’s policy cover the damage in this case? We will answer that question in our next blog post. Farm Insurance Denton County Texas – We’re Ready to Serve You!